Getting a catering service for your event means less hassle — the food will be coming to you, instead of the other way around. You don’t have to worry about informing your guests where to go — they can just relax and enjoy the festivities. Since the food is coming straight to your reserved venue, you and your guests can unwind in whatever way you please — after all, it’s your party! One of the best things that catering services offer is giving you various choices in the menu. Instead of settling for the menu that a restaurant has, a catering service is much flexible — you can choose what type of protein you would want and how it is going to be cooked. Most catering services have packages where they have everything from appetizer to dessert, but the customer still has the final say what dishes they want served. To go with your specialized menu is a specialized theme — most catering services are open-minded in what their clients want. Caterers ask for the party’s motif so that they can fit the menu accordingly — like finger food for casual shindig, or steak and potatoes for a corporate affair. They even make sure that the plating is suitable for the party’s theme as well! At the end of the day, a party will always leave a mess — empty cups, dirty plastic plates, and a pile of used plastic utensils. When you hire a catering service to cover the food for the party, they will make sure that they will leave the venue as clean as can be (plus, most of them have in-house plates and utensils for your guests to use!). All in all, getting a catering service for your event is the most convenient thing you can do while planning. This is where Jet 7 Bistro Catering excels in — their dishes are delicious and their prices are competitive. Not only that, but Chef Bombay, Jet 7’s resident chef, will make sure that the food is impeccable for your event — after all, you deserve nothing more than the best! 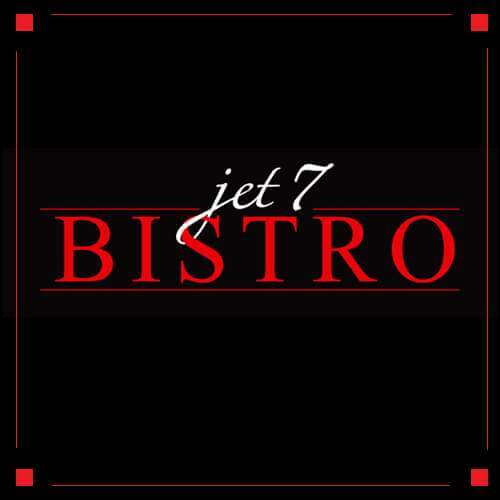 You can never go wrong with Jet 7 Bistro Catering!